Retransfer card printers deliver edge-to-edge, "borderless" printing of your cards. They coat the entire surface of each produced card without a white border (unlike the standard DTC printing). Retransfer technology is the increasingly preferred solution sought by a broad cross section of industries. Why? Consumers are demanding it. Personalized access control, retail, banking and financial cards and smart cards have become the norm in business operations. And so has the on-demand issuance of cards and with it the need for growing security, flexibility and efficiency. Improved security and tamper proof resistance: the intermediate film the image is printed unto used inherently provides fraud protection since the film easily shows tamper evidence. Any attempt to tamper with data on the card also damages the film—which cannot be easily repaired or re-used. 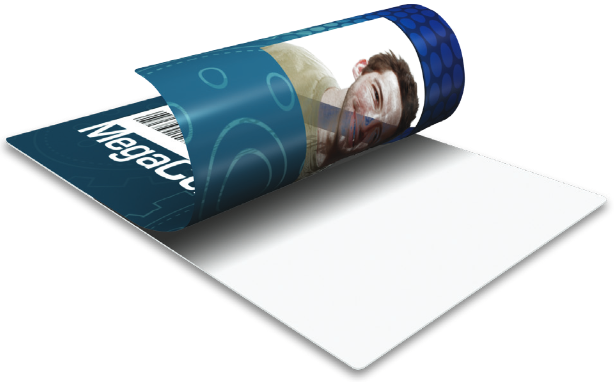 Users gain the edge-to-edge protection of a security credential, with durability exceeding a comparable DTC print. Secumind Clear Patch 1.0 Mil laminate for CL-500U-600 Smart Contact Cards is designed with a built i..